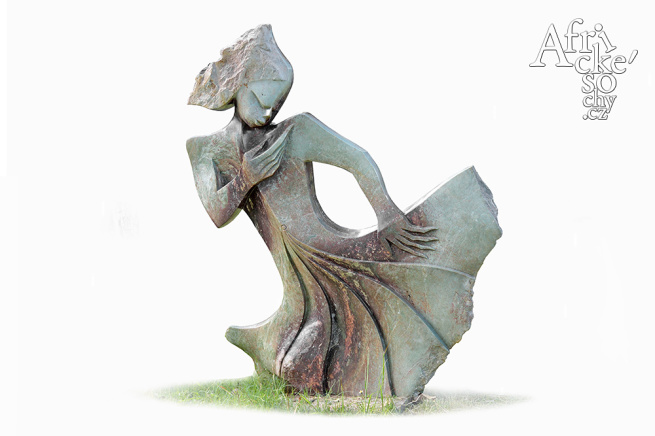 Sculptures bring satisfaction to our desire for beauty, a desire to experience positive emotions, a desire to find harmony and to feel happy. Sculptures create an atmosphere or may be a memory. A living space that is missing the beauty of art, is one in which the soul is missing. Time and again sculpture will attract you by its beauty; you will be enhanced; it will inspire you and enable you to forget your everyday worries. Sculptures of African sculptors, more than any other contemporary art, carry inside them the atmosphere of the landscape in which they were born, and the pulse of life of their authors. They carry within themselves the story. Black color stone radiates the heat of African nights and in silence you can hear rumbling drums line and people singing monotonous tunes. Just only touch the statues themselves and you feel it all. We aim to introduce you to the beauty of art, to give you joy, and other positive emotions. Our goal is to make the art an inspiration in your everyday life.